Here’s the cover to Fangoria #61 from 1987. 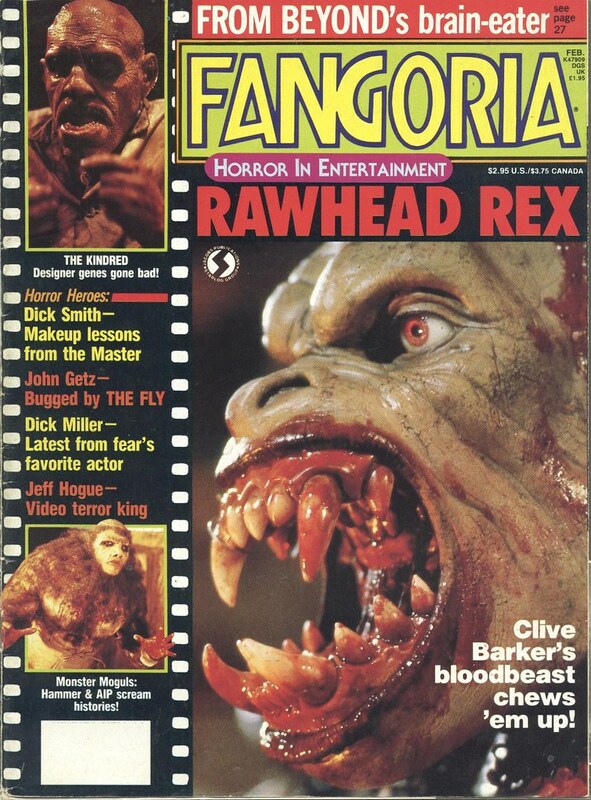 It features a cover story about Clive Barker’s Rawhead Rex. I have been fascinated by this cover ever since I bought this magazine in the 8th grade. I drew pictures of the Rawhead Rex images inside for art class (try explaining that to your art teacher) and generally wondered what kind of horror movie it was. Was it any good? But for some reason, probably due to never actually finding the movie to rent anywhere, I have never watched it. This entry was posted on October 1, 2014 at 8:00 am and is filed under Fangoria, Genres, Halloween, holiday, horror, magazine, monsters, movies, pop culture with tags AWESOME-tober-fest, AWESOME-tober-fest 2014, Fangoria, Halloween, holiday, horror, magazine, magazines, movies. You can follow any responses to this entry through the RSS 2.0 feed. You can skip to the end and leave a response. Pinging is currently not allowed.